What Lurks in the WordPress Plugin Repository? We all love the WordPress plugin repository. It’s our playground, where we find new toys and shiny things that make our websites sparkle. With more than 15,000 plugins it’s a massive repository of code that is growing all of the time. But have you ever sat down and thought about all of the different plugins in there? Probably not, why would you? And that is just for starters…..
And what has always been a little bit of a bugbear with me is that there is no advanced search option so there is no meaningful way to target your searches. And then I thought about it some more – I build websites for clients and then leave them to their own devices. Despite my telling them that they should always check a plugin’s details before installing to get information about it, they often ignore my good advice. The thing is, not every plugin is going to work with your version of WordPress. In fact, there are plugins in the directory that were last updated in 2004. So, I thought I’d do a little digging and, with the help one of my favourite developers, Baki, we did our best to snoop through the directory to see what we could find. The means around two-thirds of all plugins haven’t been updated this year, and one third haven’t been updated since 2009. With more than 15,000 plugins around that’s a lot of plugins that aren’t quite up-to-date. Of course, many of these will work fine with your version of WordPress, but not all of them. And when it comes to end users doodling around not knowing what they are doing it can cause problems. The graph shows that around half of the plugins in the repository are marked as compatible with WordPress 3.0 or above. WordPress has a pretty fast development cycle and things have changed a lot over the years. Functions and files change as WordPress develops – some drop out of usage and become deprecated and WordPress plugin developers are expected to get up-to-date. This means that some of these plugins are using deprecated functions or using functions in a deprecated manner. To try to get a grasp of the number of plugins that include deprecated functions, I chose 50 plugins at random from those not updated since the start of 2010, installed them, turned on debugging and took a look inside. The most common notice relating to deprecated functions is the way that has_cap is used. Has_cap gives or takes away author access to specific parts of pages based on a user’s capabilities. However, user levels were deprecated in WordPress 3.0 and were replaced by WordPress roles and capabilities. This means that these plugins are not working efficiently, may not be working correctly, and you certainly aren’t getting the new features that came along with the introduction of roles and capabilities. If you’re interested in finding out if plugins you are using have deprecated functions you should check out Andrew Nacin’s Log Deprecated Notices plugin. I was unable to auto-install 8 out of 50 plugins. These plugins generated a “Plugin does not have a valid header” message. WordPress only supports plugin files in the base plugins directory (wp-content/plugins) and in one directory above the plugins directory (wp-content/plugins/my-plugin). The file system is a bit of a mess and there’s no way you’re going to be able to auto-install it. In order to get it installed I had to manually put each of the files in the correct place. I’ve had to do this with plugins I’ve gotten from outside the WordPress repository, but never with ones that live there. 37 out of 50 plugins generated PHP notices, with another 8 showing other warnings or errors. That leaves only 8 with clean error logs – that’s only 15% of the plugins I tested are 100% clean…..
As a comparison, let’s have a look at what the Theme Directory Guidelines have to say about submissions to the Theme repository. Themes are required not to have any notices, warnings, errors; or use of deprecated functions. You can check out the plugin guidelines by comparison. Errrrr…. So I installed lots of plugins, tested them out, and made some graphs. But I wasn’t finished. I was sure that there would be something in there that we could exploit. The next step was to install every plugin in the repository and try, one by one, to exploit them look on Security Focus to find a live issue. This is where it gets exciting – we found a plugin called Recip.ly that had an arbitrary file upload vulnerability. What all of those visuals are showing you is me (played by Angelina Jolie – obviously) targeting the uploadImage.php file in the Recip.ly plugin folder. We were able to exploit it and upload a shell straight into the folder. A hacker could upload any file to this folder. They can do it straight from their local computer. But he doesn’t need to do much more than load this shell to take control of your site. And all sorts of other things that you do not want going on on your web server. Basically, your site is a drone. But, dear readers, before you start getting excited – you can’t exploit my website. The more observant of you will have noticed that I did all of this on my localhost. So ha! And we’ve notified the WordPress plugin repo, and the plugin developer to tell them about the exploit. It was disappointing, but not unexpected to find this exploit in the plugin repository. We were so sure that we would find something we could exploit that we actively went looking for it. And we took a rather lazy route to get there. No doubt there are actual hackers, who really want to hack your site, who use the plugin repository as a starting point for their antics. In fact, recent events have shown us that it is. This doesn’t mean that the WordPress repository is unsafe, it just means that you should be using it correctly. Never just click “install” – always look at the details of a plugin before you install it. Don’t just look at the star rating. Look at what version of WordPress the plugin is compatible up to. It’s not essential that it’s the latest version but it helps if it is close. 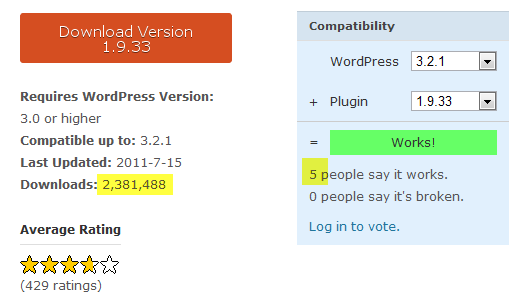 Go to the plugin page on WordPress.org and look to see if the plugin is compatible with your version of WordPress. Pass this information on to your clients to make sure that they don’t do anything dumb! I’ve put together a whitelabel WordPress plugin manual that you can pass on to clients to help them along. It cropped up again in August 2010 in a WordPress podcast with Matt Mullenweg. In the interview, Matt says that he would rather see major plugins adopted rather than introducing an end of life sequence (go to around 15:00 on the podcast). Fredrick Townes makes the good point that as a consultant it’s difficult to educate users about using plugins that are up-to-date. 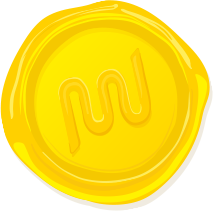 Matt replies that they would like to see the most popular plugins incorporated into core. As someone who works with a lot of end-users and clients who have minimal web expertise, I appreciate Fredrick’s question. And it’s never the guy who wants to install Contact Form 7 or NextGEN Gallery that’s the problem – it’s always the client who wants something really random , a small and obscure plugin that only 7 people in the world would install. It’d be nice to see the most used plugins brought into core, but all of those tiny orphans with no one to love them, what about those guys? In the absence to any real answers to my questions, I did what any dedicated WordPress user always does and turned to Drupal. You need to realize that if you created a Drupal module that thousands of people depend upon, you created a successful Open Source project. Successful Open Source projects need responsible maintainers in order to sustain. As the maintainer of your project you are in charge, and you have to take responsibility. Period. Good point – and I think it’s important for people to keep in mind when they embark on creating a new WordPress plugin. But what about those plugins that haven’t been updated since 2004, 2005,2006, 2007, 2008 – how do we know which ones are reliable or not? If the plugin works, mark it as working. If it doesn’t, mark it as not working. This will help plugin developers to know if there are problems, and tell end users whether they should install. That’s 2,381,488 downloads – and only 5 people saying it works with 3.2.1. WordPress community – get off your asses and mark those plugins! No doubt the guys at WordPress.org are aware of this problem – it’s a tough one to crack. It reminds me of the cupboard in my bedroom – I just pile loads and loads of stuff in there until it’s so full that I keep the door closed, only ever thinking about the nice things in there, and forgetting about the crap. Have a more advanced search function in the WordPress back end and in the repo. Let users search for plugins that are compatible with their version of WordPress. In the back end enable users to order their search by date, compatibility, popularity. You know, like they do on Amazon. This doesn’t make me love the WordPress Plugin Repository any less, but it reminds me of the necessity of being careful. The repo is like a big treasure chest full of pirate’s loot. There are some diamonds in there, some rubies and some chunky gold coins. But there are also coppers, and some bits of tin, a worn out hook, and a whole load of drift wood. And just occasionally you come across a coin which looks shiny but it’s cursed and you end up like those pirates in that film that no one has ever seen… that one with Johnny Depp – you know, some tiny little fun park somewhere made a ride out of it. I doubt you would have seen it anyway. Enough metaphors! Back to plugins – the WordPress plugin repo is growing all the time and there’s bound to reach a point when there’s more junk than gold. Can things be changed before then? What do you think? Do you have suggestions for dealing with orphaned plugins? Do we need stricter guidelines about what is allowed in the plugin repository? And what gets to stay? Or do we need better ways ways to educate WordPress users? Let us know in the comments! P.S. You got to the end! Want to see all the data? Check out the spreadsheet!